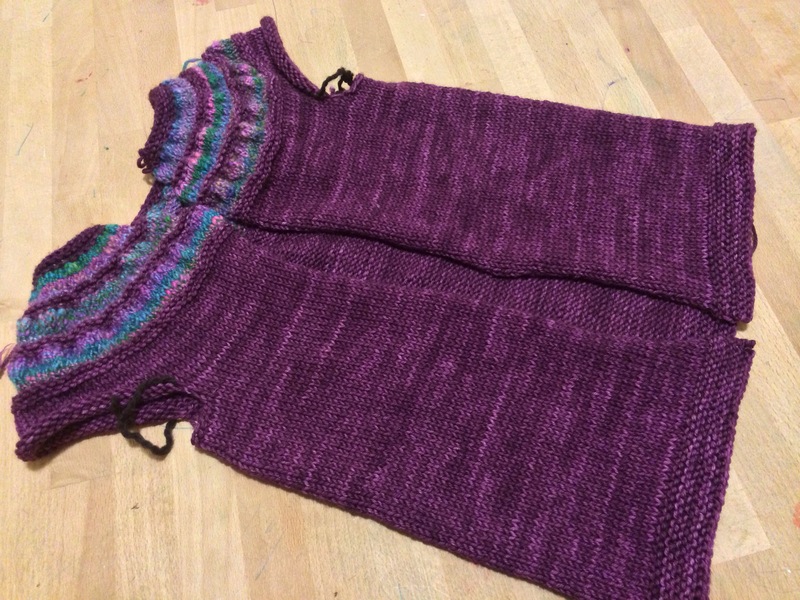 Just like that, the body of this Tiny Tea Leaves Cardigan is finished! And it fits the Wee Girl! I only have the sleeves and button bands to go! I’d wear it, too! Which is funny, because the purple yarn was meant to be a sweater for me, but I eventually decided that I didn’t want to wear that much purple. I’m silly that way. I think eventually, ALL my clothes will be blue.